All our trips by using public transport as neither of us drive so werely on buses, trams and trains to get around the UK. Whilst I’m not an expert, I do know how to get a lot of places without a car from Sheffield so I thought I would share my knowledge. And even if you do drive, or don’t even use public transport much,this will help you to find where to go in specific areas and maybe give you some inspiration of your next days out! 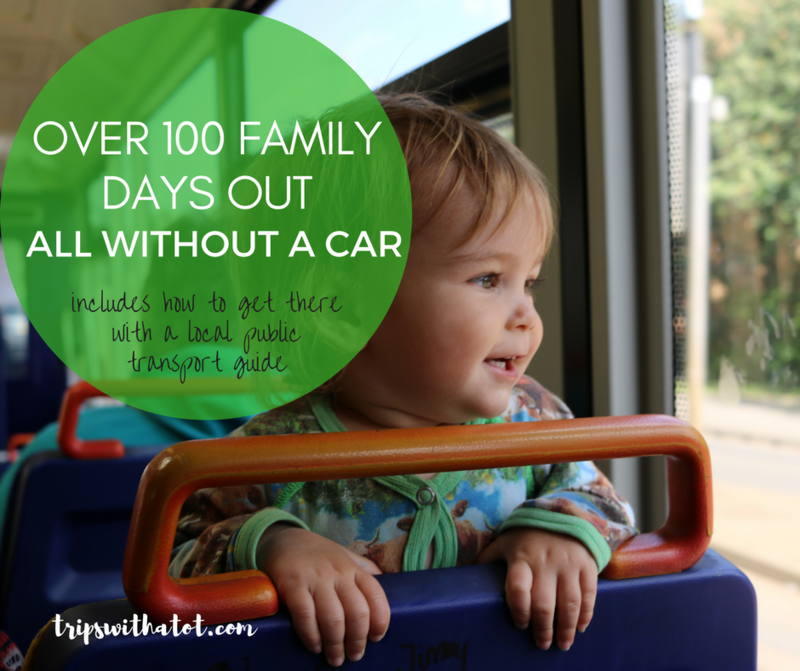 This is by no means a complete list of all public transport; that would take months! These are routes I use often and I am speaking from personal experience. Routes are subject to change so please check before planning your trips. For my TOP 17 day trips from Sheffield, read this! How to use this guide: it is split into 5 parts. Countryside buses, Sheffield buses, South Yorkshire buses, Trains and Trams. Scroll to find the section you need, to find the route and where to go. You might need a pen and paper… Enjoy! This bus is good for Peak District walks, visiting the plague village of Eyam and a stay in Buxton. You could do a Longshaw to Grindleford walk, or explore any of that area. Padley Gorge is a favourite of mine, and Eyam hall is wonderful: a national trust historical house. Buxton is an old spa town where you could easily spend a day shopping, eating and seeing Pavilion gardens. Read my blog and watch our video from Longshaw and Padley Gorge here, and a day out to Eyam Hall here. So many days out on this bus route! A day out to Chatsworth House is a must; this bus goes into the car park, or get off in Baslow for good pubs and a picturesque stroll in Chatsworth estate. Bakewell is home to the Bakewell tart! It is a pretty, quintessentially English town with gift shops, charity shops, pubs and a nice park. Watch our vlog from Chatsworth House here. Another great bus for walking in the Peak District. This bus goes through Fox house to Hathersage via Surprise view, Hope and into Castleton. Surprise view and Mother cap are must-sees for amazing views, visit Hathersage outdoor pool in the summer, do a countryside walk, and visit Perevil castle in Castleton. See photos from our visit to Perevil Castle here. These buses don’t run so often but give you access to some fantastic places in the Peak District. First, on the 273/274, you can get off at Rivelin Dams and walk up to Rivelin Valley Park. This bus route then goes to Yorkshire bridge where you can see Ladybower Reservoir and walk around Upper Derwent valley and Bamford before going on to Castleton. Back in Sheffield, the 275 goes to Rivelin via Broomhill where Weston park museum is. 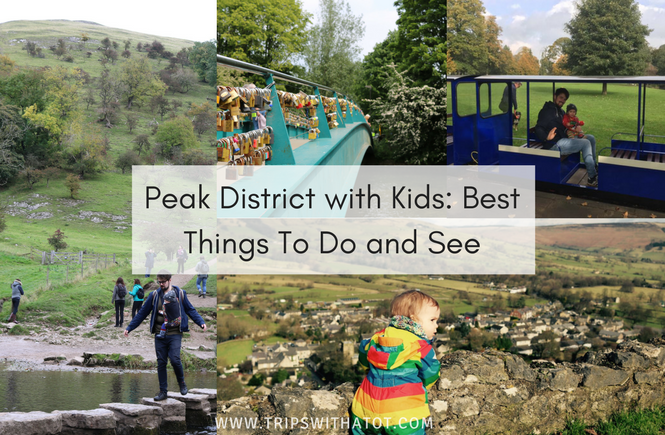 On this bus, take your pick where to get off and explore in the Peak District! There’s Ladybower reservoir, Grindleford, Eyam and Hassop station where you can walk or cycle along the Monsal trail to Bakewell. Places to go on route: Weston Park Museum, Rivelin Dams and valley park, Ladybower reservoir, Upper Derwent valley, Grindleford, Eyam village, hassop station cycle hire cafe, Castleton and Bakewell. In Sheffield, this bus goes to Chesterfield via Woodseats where you can get to Graves park and the animal farm. Chesterfield is a nice market town with a huge park, and Matlock is a nice day out with the option to walk down to Matlock Bath. Read my blog on a day out at Matlock Bath here. Explore the countryside of north Sheffield on this bus which goes to Low Bradfield via Loxley and onto Stannington. On this bus you can visit Our cow molly and do a walk around Damflask Reservoir in Low Bradfield. Good food in Low Bradfield can be found at The Plough and The School Rooms. There are lots of walks in this area out to Dungworth and Stannington. This bus goes through Sheffield via Hillsborough for even more options of things to do. Have a full day out and tour of Sheffield with this bus! Haha. The Fulwood route (First bus) takes you to Forge Dam; one of my favourite parks in Sheffield with great cafe. Here you can walk to Endcliffe park via Shepherds Wheel. Going into Sheffield this bus goes via Broomhill and into the city centre. You can visit Sheffield Manor Lodge or Norfolk heritage park, or go onwards to Crystal peaks for shopping. Rother valley country park is towards the end of the route and has water sports and playgrounds. From Sheffield City Centre the 88 goes to Chapeltown or Bents green, in Chapeltown you can get a bus to Wentworth garden centre. From Chapeltown, next up is Firth Park where sculptures are waiting to be found at Journey To Hidden Places, it’s here you can find 18 creative pieces of art. Through the city centre, the bus goes to Ecclesall road where you can visit Botanical gardens and Endcliffe park. Places to go on route: Chapeltown for bus to Wentworth, Firth Park, Ecclesall Road, Botanical gardens, Endcliffe park. There’s a few good parks and playgrounds on these bus routes. On the Low Edges side, the bus passes Meadowhead and Graves Park which is the largest park in Sheffield and has a free animal farm. Towards Sheffield city centre the bus passes Highfields adventure playground and Mount Pleasant Park. On the other side of the bus route is Pitsmoor adventure playground, Firth park and Concord park. Places to go on route: Graves Park, Abbeydale Road, Highfields adventure playground and library, Pitsmoor adventure playground, Firth Park and Concord Park. This bus covers museums, shopping, parks and playgrounds. In Hillsborough there is lots to do, them through into Crookes and Walkey for charity shops and crookes valley park. In Broomhill there are nice places to eat and the bus stops outside Weston Park Museum. Places to go on route: Hillsborough Park, Crookes Valley Park, Weston Park Museum. This is a circular route linking Wybourn to Herdings. In Wybourn towards the end of the line you can walk a few minutes to Sheffield Manor farm and Lodge, the bus goes back into town and through onto Heeley City Farm where it stops right outside, opposite the road is Millennium Park before going onto Herdings. Read my blog on Heeley City Farm here. 2 good days out can be accessed with the x5 to Dinnington bus. Half an hour from Sheffield is Aston Springs Farm and the bus stop is right outside, further on is Tropical Butterfly House (10 min walk from bus stop) and few things to do in Dinnington, too. This is a good bus to get to a lot of places in and near Rotherham. The bus passes Centertainment, Meadowhall before reaching Magna Science Adventure Park with the bus stop outside the gates. This is the Sheffield boundary. Onwards into Rotherham, the bus stops around the corner from Big Apple Play City, and outside Clifton Park Museum which has fantastic water play. Find out why I love Big Apple soft play here, with photos. There are a lot of trains from Sheffield to all around the UK, if I was to list them all we would be here all day! 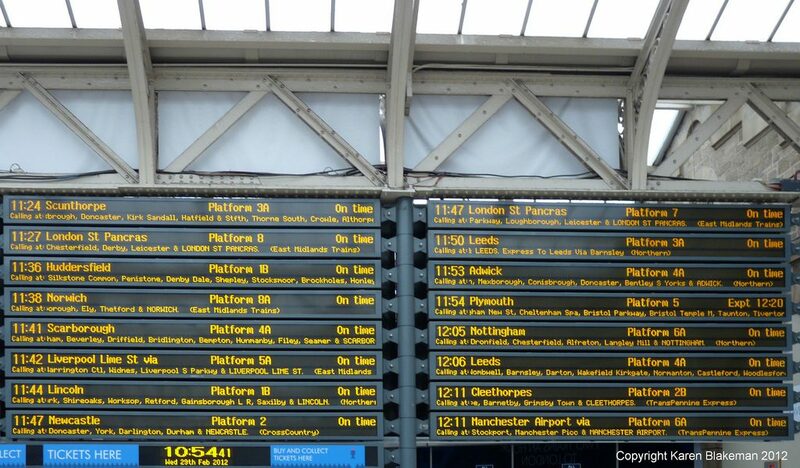 Here are selected train journeys we do often with good days out. My favourite site to use for train tickets and times is the trainline.com. Elsecar – 17 minutes away from Sheffield, near Barnsley, there is loads to do in Elsecar for all ages. Visit the Elsecar Heritage Centre, Elsecar railway for old steam trains, Playmania Indoor Play Centre, Antique, toy and gift shops, canal walks, Elsecar park and family pubs. A village bus from outside the Heritage Centre will take you 5 mins down the road to Wentworth village, where a visit to Wentworth garden Centre is a must! Barnsley – 25 minutes from Sheffield. 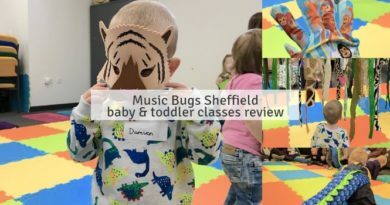 In the city centre, visit the free and good museum for kids Experience Barnsley which has a cafe and some things to play with, across the road is The Cooper Gallery with some interactive bits for children & explorer bags. Further afield, in Barnsley a bus to Cawthorne can get you to Maize Maze, Cannon Hall Museum and Cannon Hall Farm. Please note these buses are not very regular or reliable for Cannon Hall Farm but they ARE available and it is doable. For this you need to get off the bus in the village of Cawthorne and walk through the park of Cannon Hall to reach Cannon Hall Farm. Allow half an hour for this. Please plan ahead as I once got stuck there as a village bus never showed up. There are buses to Yorkshire Sculpture Park. For swimming try Calpyso Cove! Wakefield – Approx 30 mins from Sheffield. The Hepworth Wakefield gallery is 8 mins walk from Wakefield Kirkgate/Westgate stations and is a lovely free family day out. A bus ride away is Anglers Country Park where you can enjoy the free room on the broom adventure trail. Read about our trip to the Hepworth including free toddler art activities. Doncaster – 30 mins from Sheffield. Change at Doncaster for a bus to Yorkshire Wildlife Park which takes approximately 45 minutes, or a bus to Cusworth Hall Museum and park. You could visit Doncaster Dome for swimming and ice skating. Rotherham – 15 mins from Sheffield. Camelot play castle is around the corner from the station, Big Apple Play City a 10 minute walk (or catch the X1 Steel Link which stops around the corner), Clifton Park Museum is a 15 minute walk through the town centre. Leeds – Direct trains are so quick and you could get to Leeds in under 40 mins. There’s so much to do in Leeds and we go often! Get the free water taxi to royal Armouries, visit Roundhay Park and Tropical world or the free Leeds City Museum. See this post for 7 must-do things in Leeds, and top tips for your trip to Tropical World here. Matlock Bath – There is a bus from Sheffield to Matlock, but it takes a while (approx1 hour and half) and then it is either a walk or another bus to Matlock Bath, so I prefer to get the train. The train requires a change at Derby to Matlock Bath, and is about the same time as the bus, but the change breaks it up and the train station when you arrive is right next to the Heights of Abraham so it’s very convenient! There is lots to do and see in Matlock and Matlock Bath. Hathersage and Hope – Both of these train stations are great for peak district walks. There are so many walking trails in and around Hathersage and the Hope Valley. In Hathersage there is the outdoor pool, playground and lots of places to eat and drink. In Hope valley, Bamford is lovely, the travelers rest is a nice pub with big playground and beer garden, there is a garden centre. Check out my guide on 6 countryside walks here. Halifax – Around one hour 40 and requires a change at Leeds, so we usually make this an overnight stay and combine with Bradford. Eureka! The national children’s museum is right by Halifax train station and is amazing for kids. There is Manor Heath Park and the Jungle experience in Halifax just outside the city centre, which looks really fun. See our day at Eureka! here which includes a video. Bradford – Close to Leeds and Halifax, so can be combined with either; Bradford is home to the National Science and Media museum which is completely free to visit. The historical village and UNESCO World Heritage Site of Saltaire is a quick train ride from Bradford and Saltaire Mill is a wonderful place. Keighley is 20 minutes away by train for a visit to Keighley & Worth valley railway. Click here to see my blog and vlog from national science and media museum. Nottingham – We go to Nottingham often, trains from Sheffield take under an hour and there is so much to do in and around Nottinghamshire. In the city centre, there are lots of shops, cafes, bars and pretty buildings. The Kitty Cafe is a must visit where you can drink and eat with cute cats running around, up from there is Nottingham Castle which has loads to see for all ages; the Robin Hood gallery in the castle is a role play area for kids with pretend medieval kitchens and furniture, reading corner, dressing up, etc, playgrounds outside, too. Just outside of the city centre is Wollaton Hall which is free to visit and has a fantastic natural history museum, playground, deer park and Taxidermy collection. Further out towards Mansfield is Wheelgate adventure park which is a theme park for little ones and really worth the money of just £10 entry, and White post farm. Don’t forget Sherwood Forest too! These 3 are all on the Sherwood Arrow bus route which runs from Worksop to Nottingham. We usually stay overnight at a family hostel, if not a few days, to make the most out of a tripto Nottingham. We usually sty at Igloo backpackers hotel. Read my complete review of Wheelgate here! York – Similar to Nottingham, York takes under an hour to get to from Sheffield and has absolutely loads to do. York is a fabulous city, very historical, pretty and has a unique atmosphere. There is something for all ages; toddlers to grandparents. National Railway Museum is just next to the station and is free entry; it is MUST-go, wonderful museum and kids who love trains will go nuts! Read how to make most of your day trip there in this post. The play area is good too, both in and outside. The York Minster is a must-see; the largest gothic cathedral in Europe, in the city centre, along with shopping in beautiful craft and gift shops along cobble stoned, old medieval streets. The Jorvik Centre and Jorvik Dig are interesting and intereactive for kids, and the York Chocolate Story is loads of fun. 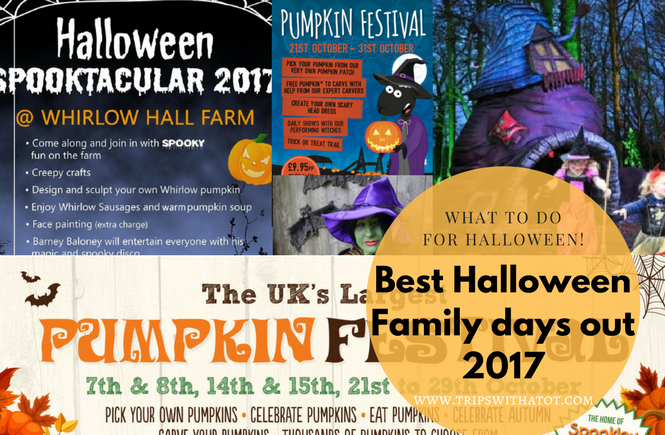 Outside of York is the Web adventure park and Creepy Crawlies, Castle Howard and Piglets Adventure Farm. Manchester -Reachable just under an hour on direct trains from Sheffield, Manchester is a big place with lots to do. Loads of shopping, eating and drinking opportunities. The star of the show in my opinion for families in Manchester the MSI Museum which is free to visit and absolutely fantastic fror all ages of families. They have discovery bags, sensory bags, sensory garden, experiment hands on gallery, play areas, activities and a busy calendar of events. You can easily spend a whole day there: read my top tips before you go!. Trafford Centre is a bus ride away from the city centre and has Sealife and Legoland inside. Nearby is a huge soft play too. Read this blog on our 2 day trip to Manchester including MSI Museum and Sealife. 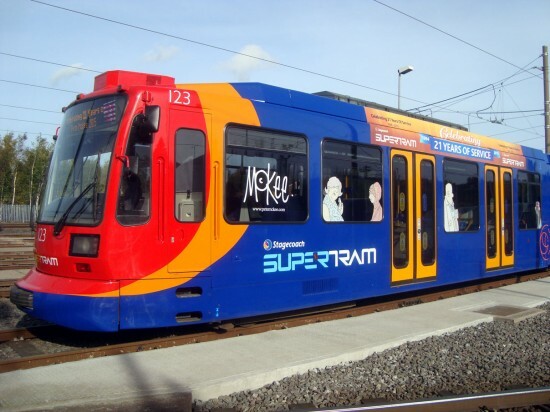 The Supertram has three routes, I use the Yellow and Blue routes the most for days out and places to go. See all the routes and information, including timetables, over here. Yellow Line: Middlewood – Meadowhall. Middlewood is near Hillsborough, which has Hillsborough Park and library, shops, soft play centre, cafes, etc. Further down into Shalesmoor is where Kelham Island is; this industrial quarter of Sheffield is unique and a visit to the Kelham Island Museum is a must; it’s great for all ages. Read our Kelham Island museum blog and vlog here. Every month, Peddler Night Market is on at Burton Road in Kelham Island; watch our video from the last one here. The tram goes into town, stopping just before city centre at University where you can get off for a 10minute walk up to Weston Park Museum. After many stops through the city centre, alight at Cricket Inn Road for Victoria Quays; read my blog on our canal stroll here, and Megakidz play centre. he tram then goes on towards Centertainment with bowling, arcades, cinema, food., etc and onto Meadowhall. Malin Bridge in Hillsborough is the last stop towards that side of the route, and is where you can take a short walk to Rivelin Valley park. There is a cafe, playgrounds, nature trail and water play. The tram stops in Hillsborough (see above for places to go) and same route as the Yellow into city centre. Granville Road is one stop after Sheffield Train Station where there is then a quick walk up to Norfolk Heritage Park. The tram goes onwards towards Halfway, passing Spring Lane just off City Road for Manor Park (and part of the Norfolk Heritage trail, just over the hill is Manor Lodge). Towards the end of the line is Crystal Peaks; a shopping centre and library, Westfield for Rother Valley park with water sports, walking, playgrounds and cafe, and Runarout play centre. Phew! I really hope this was helpful. I am going to be referring back to this guide myself for many years to come- I will try and keep this updated if any routes change service, but please do check before you travel. There is nothing more disappointing than planning your journey but to find out you can’t get there! Trust me, this has happened to us many times and is sooo frustrating! In terms of help with saving money on public transport, please check this blog on 9 money saving tips. Whether you use public transport or not, I hope this was useful to you and inspired you to get out and about. There is a fantastic public transport system in Sheffield and we are very lucky to have so many places to go right at our finger tips. Please let me know if you would like anymore advice, I would be more than happy to try and help! Thank you for reading, I hope this was helpful!